This section tells you everything you need to know about debt relief orders (DROs). It explains who can get a DRO, and if you qualify how to get a DRO. A debt relief order (DRO) is a way for you to have your debts written off if you owe less than £20,000 and have very few assets. If you qualify for a debt relief order (DRO), you will not have to make payments towards your debt included in your DRO for 12 months, after that your debts will be written off. 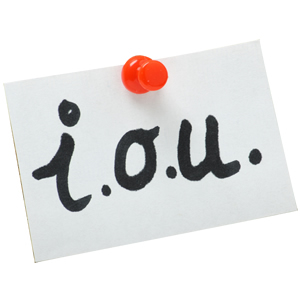 Your creditors can not chase you for your debts during the 12 month period. Can I Get A Debt Relief Order? Our specialists can quickly check if you can get a debt relief order. Simply call the team on 0800 36 88 133, or take the "Can I Get A DRO" test and and see if you qualify online. Can I Get A DRO? You get a DRO from the official receiver, an officer of the bankruptcy court. You must apply through an authorised debt adviser. They’ll will also be able to help you fill in the pllication for a debt relief order. How much does a DRO cost? To apply for a DRO there's a fee of £90. If you can't afford to pay the fee you may be able to get help towards the cost from some charities. What debts can be included in a DRO? If you obtained any of these debts by fraud, you will still have to pay them when the DRO has ended. What debts CAN NOT be included in a DRO? Excluded debts do not count towards the total maximum debt allowed.